Also, stormwater pollution clogs drainage pipes and leads to costly flooding. Cleaning drainage pipes and the stormwater system is expensive for communities. Our stormwater filters prevent leaves, trash and debris from entering the stormwater system. Pollution is kept out of waterways, floods are prevented, and communities save money because debris is cleaned at the street level. 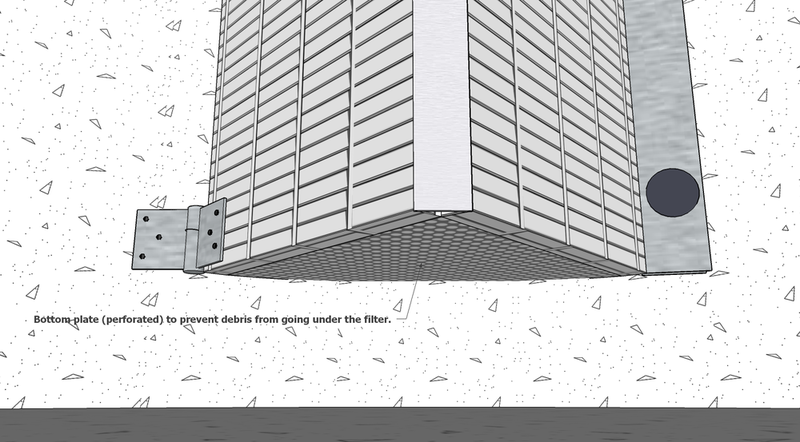 Having operated for several years in South Florida, our filters have been exposed to significant amounts of rain, and the filters haven't clogged. SOP Technologies stormwater filters are protected under U.S. Patent No. 8,017,006. This video shows a test of our stormwater filters. The test was conducted by Miami Dade College Engineering faculty members, using items typically found in stormwater pollution. Since that test, our technology has been operating in the field for several years, and we have made additional improvements to the flow rate and effectiveness of the technology. 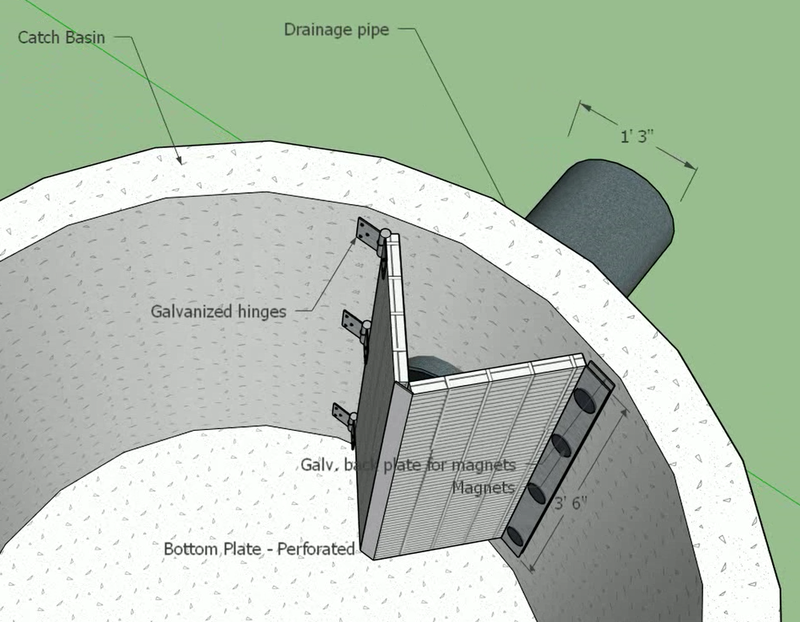 We incorporated our patented design and collaborated with several stormwater managers to design catch basin filters. These filters allow municipalities to reduce their stormwater maintenance costs by collecting as much debris as possible using existing stormwater infrastructure. Then, as needed, maintenance crews remove debris from the catch basin and open the filter for easy access to drainage pipes. Drainage inlet baskets allow stormwater managers to remove debris by lifting baskets that are under grates. This saves money by preventing costly cleanup associated with vactor trucks, plastics and other pollutants are kept out of the ocean, and debris doesn't clog the drainage system. As with our other stormwater filters, the baskets are customized for local stormwater needs. Without filters, removing debris from the stormwater system often requires a vacuum truck. Each cleaning can cost hundreds of dollars, and is only a temporary measure. By preventing pollution from entering the stormwater system, our technology addresses the root of the problem, and communities reduce stormwater management costs. Here are pictures of stormwater catch basins and drainage pipes where our filters are not installed. In these catch basins, leaves, plastic bags, and paper are entering the drainage pipes. This leads to pollution, floods, and costly cleanup. These pictures show stormwater catch basins where our filters are installed. The stormwater system is much cleaner, water pollution is minimized, floods are prevented, and communities save money in stormwater management costs. Visit our Testimonials page see what others are saying about our technology. The pages About Floods and About Ocean Pollution provide numerous quotes and videos from organizations that have linked stormwater pollution to floods and water pollution. Contact us to stay up-to-date with our latest developments.